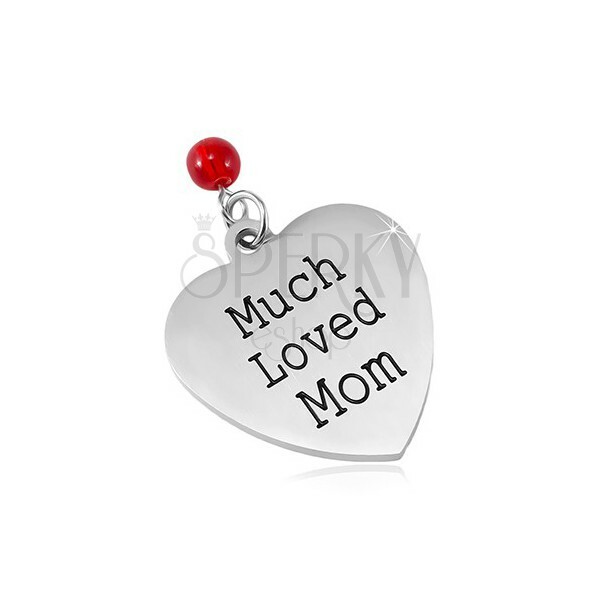 316L steel pendant in silver colour, symmetrical heart with matte surface, black inscription Much Loved Mum, red bead. Steel pendant has the shape of a big heart and a matte smooth and flat surface in silver colour. 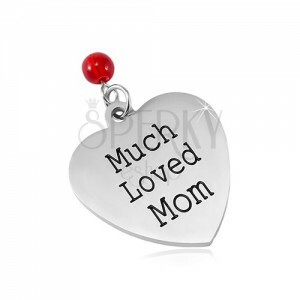 In the middle of the heart is engraved a black inscription "Much Loved Mum". The pendant is complemented with a rounded red bead. The eye for the chain is thin and circular.